Relative Race is at it again, bringing its unique hybrid of the joy of connecting families and genial competition inspired by weird FHE games back for a fifth season. We love the program, as it brings families closer together – both those watching and those participating. 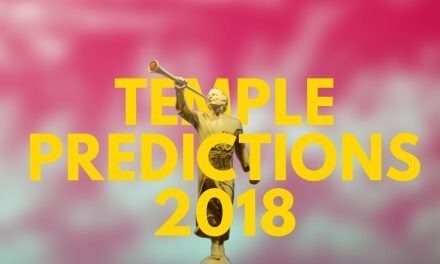 If you don’t know about Relative Race, you probably have been living under a rock, or hate TV, or haven’t checked in with BYUtv in recent years (you should!). Come on people, what are you waiting for? BYUtv is really trying hard to bring worthwhile entertainment to you. 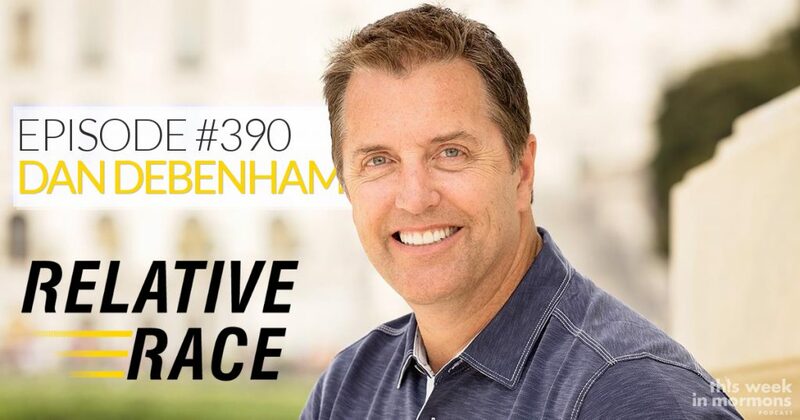 In TWiM episode #390, Geoff interviewed the show’s host, Dan Debenham. Give it a listen and learn about the incredible work that goes on behind the scenes to pull this show off. It’s unlike any other. 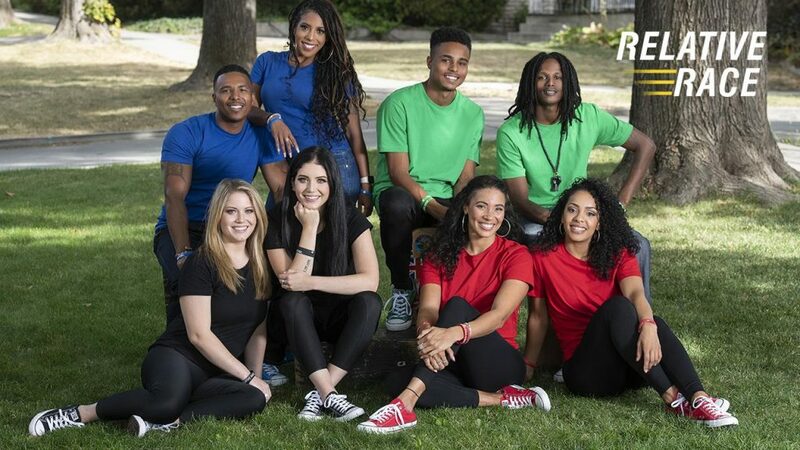 As referenced earlier above, Relative Race combines elements of a reality show in the vein of The Amazing Race while combining them with family history work, via a partnership with Ancestry. Teams race the clock across the country as they strive to arrive in a destination city in a specific amount of time, complete challenges, and find relatives they have never met. In earlier seasons, these relatives were often random third cousins that agreed to do the show — which was fine! — but in recent years, we’ve seen people meet biological fathers or mothers for the first time, siblings they never knew they had, long-lost cousins, or even find out the parent they never met is already deceased, which can be as devastating as it is cathartic. And after all that familial drama, the teams reconvene with Dan at the end via video chat, and he reveals which teams went the most and least over or under (usually over) their allotted times. The team with the best time comes in first on that leg and gets to choose between an immediate benefit for the next leg (something like five minutes with a GPS-enabled smartphone; the racers must give up their gadgets before the race and use regular maps) or a Day 10 benefit, which will only help them if they make it to the finale. The team with the worst time for the leg gets a strike. Three strikes and you’re off the race. Don’t worry if the rules sound confusing. Dan explains them multiple times throughout each episode. This season starts out in beautiful St. Louis, and finds Dan taking a tour high above the city in a helicopter. If you watch the footage, while it shows him later standing in front of said helicopter, we’re not actually sure that he really did land in front of the racers and disembark said helicopter. Anyway, I think he might have one of the coolest jobs ever. I’d like to think I’d make a good TV show host. So Dan, if you ever need a fill in, I’m your man. Also, he and his wife have a dynamite taste in cabinets. Adopted sisters Elizabeth and Maria Clifton are from New York City. The sisters were both adopted at three months old, from the same agency, three years apart. They are hoping to find connection to their birth families, and find they did, as Maria found her brother Adio, and found out she was the oldest of 11 kids. Boom! 10 new brothers and sisters just like that. Half brothers Marcus Taylor and Keith Breedlove are hoping to connect with missing family, after their mother passed away. These two brothers get the first hiccup of the game as it is quickly revealed, neither have a driver’s license. To be honest, if I lived where I could get to everything on public transportation, I might not have one either. (Although there was something amusing about them explaining that by living in Los Angeles, a city not particularly famous for its walkability or public transit, they have never needed to drive.) Because of this, they are assigned a driver. The only hitch, the driver can’t help navigate or help in challenges. He can only go where the brothers direct him. Now the really cool thing. The driver is the first relative found in the game. 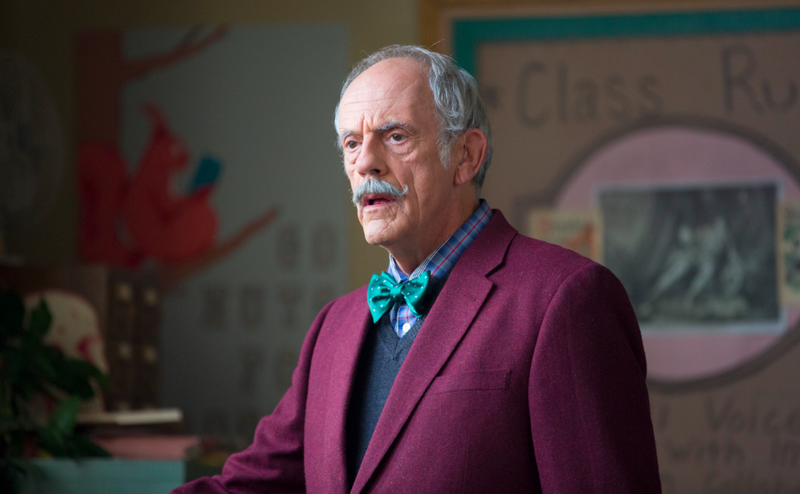 It’s Marcus’ father! What a cool reunion to start the game off. Husband and wife and former Marines, Demetrius and Chonta Flower hail from Atlanta, Georgia. Demetrius, who works in federal law enforcement, is hoping to find his biological father. In episode 1 Chonta finds her cousin Alexis and learns about their common ancestor, who began life as a slave, and ended as a restaurant owner. Along with her cousin, Chonta was able to visit the actual plantation where her great-great grandmother lived. Identical twin Sisters (Not TWiM Sisters, sorry Tiffany and Arianne) Kaley and Kristen Dignen are looking for the birth father who left their family when they were only 4. These musicians from Orlando, Florida are giving it all they’ve got, but unfortunately the first day didn’t work out so well for them. With the longest drive of any of the contestants, Team Black was the first strike of the season. (Also, they are from Orlando, but had to start in St. Louis, only to drive all the way down to the Miami area. Harsh, Dan!) But they did get to meet their first cousin Jonathan and begin to piece together their history. Here’s your caution again if you didn’t read the SPOILER ALERT the first time. 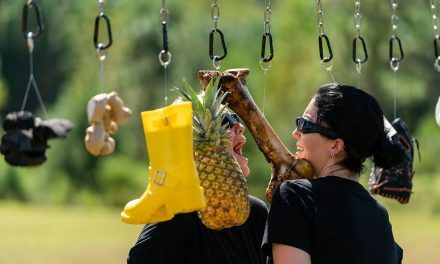 To get their cars, the contestants had to compete in a series of challenges. First out of the gate was Team Green, who had had trouble trying to figure out if “Ar-Kansas” was the same as “Arkansas” All the while, Marcus’ father, who is only allowed to take directions, is visibly going crazy because he clearly knows exactly where to do. Other teams have less trouble with directions, but Team Black is stuck with the first multi-day journey in the Race’s history, and then gets lost for a bit when finally arriving in Southern Florida. In 1st place was Team Red. In 2nd place came Team Green. Close behind Team Green in 3rd place was Team Blue. And at over an hour and a half over their allotted time, Team Black comes in last and picks up the first strike of the season. This has all the hallmarks of a great season, just like its predecessors. You can find Relative Race on BYUtv, Sundays at 7pm Mountain Time, or on your streaming device via the BYUtv app. Jeff Borders has been called a chronic over-achiever, a badge he wears with honor. 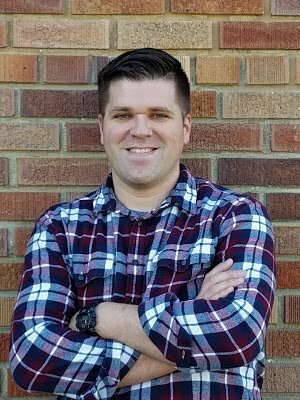 He is a self-published author, freelance writer, and volunteer firefighter. When not sampling his favorite burrito at Costa Vida, or attempting to sway the masses with his wit and words, he can be found spending time with his beautiful wife and four children.